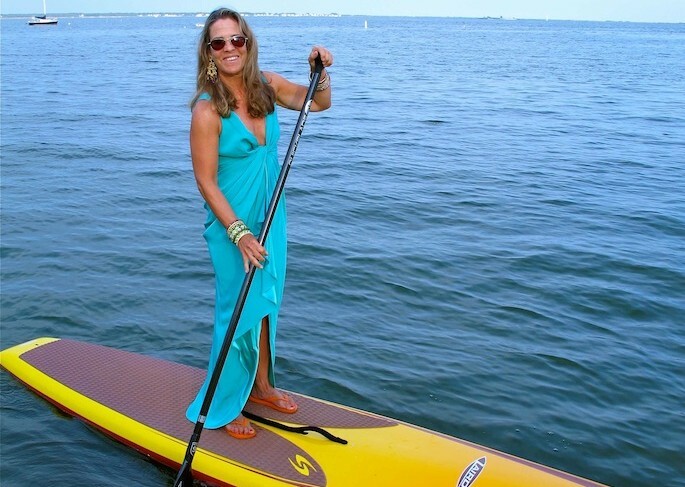 KDH loves a girl who paddles in STYLE! Claudia Lebenthal [above], founder & editor of STYLE OF SPORT, is the KDHamptons contributing fitness editor. STYLE OF SPORT is a website that celebrates the intersection of sports with fashion, design, art, culture and all things hip and cool. Nobody knows ~ and lives ~ this category better than Claudia. Each week, Claudia will share insider stories on KDHamptons about sports & fitness, wellness, workouts, style, and more. Claudia served as a photography and creative director at a number of Conde Nast publications, including Allure, Womens Sports & Fitness, and Self. In 2006, she co-created and published Stoked: The Evolution of Action Sports, an award-winning multi-media large format photography book on the history of extreme sports.